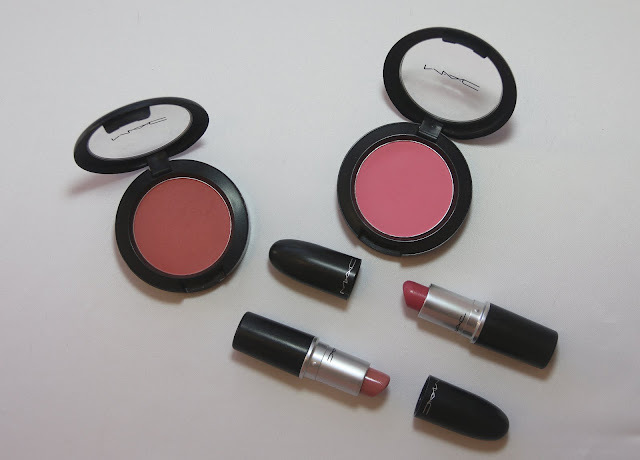 This post is all about the MAC products that I own! I will tell you what I think about them, how much I use them and if they are worth the hype! MAC is such a lovely brand that people rave about all the time! I have 2 blushes and 2 lipsticks from MAC. There are a few more products I would love to try from MAC, like a concealer and a few different lipstick shades! Overall the products are really good and I enjoy using them! The two lipsticks I own from MAC are Love Lorn and Creme Cup. Creme Cup was the first ever MAC product I bought and I loved it at the time! I thought it was the best lipstick ever and nothing could beat it! When I bought Love Lorn that changed because I realsied that Creme Cup didn't look so good on my skin tone. Both lipsticks are great and I wear them very often because the shades are very wearable! The texture is so lovely and they last for a long time! Even when the lipstick starts wearing off it still leaves a nice colour behind. 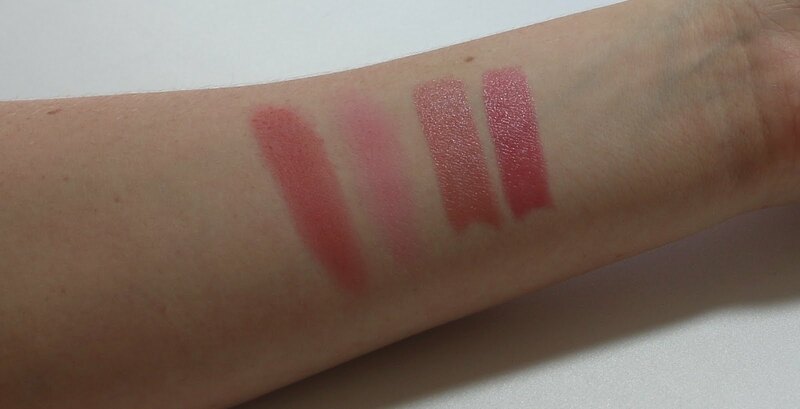 The two blushes I own are Fleur Power and Pink Swoon, they are both lovely shades. I don't wear blush very often as I have a very red face and adding blush to that makes my face look even more red!! Though when I do wear blush I tend to reach towards Fleur Power more! Its a lovely neutral shade that can be built up to be very pigmented and strong! MAC blushes can be very overwhelming if you apply to much product! They definitely need to be used sparingly! I don't use Pink Swoon very often as it is a true barbie pink shade and it't not really a blush colour i'm into any more! However it is wonderful for Halloween! You can built it up to this insane pink shade! It looked lovely the year I went as a doll for Halloween! I really enjoy MAC products and I think they are worth the hype that was around a few years ago and is slowly coming back now! In Australia these blushes are $41 so they are quite expensive! If makeup is your thing and you're willing to spend a little bit ore money on it I highly recommend these! The lipsticks cost $36 which is also quite a lot of money to be spending on a lipstick! The shade range is lovely though and the product is worth it! I think if you are going to buy one thing from MAC it should be a lipstick they are lovely and have a shade that will suit everyone!! A few products I would like to try from MAC are their concealers, I also really want to see if Twig lipstick would suit my skin tone! How I Deal With Acne! Instagram accounts you must follow!